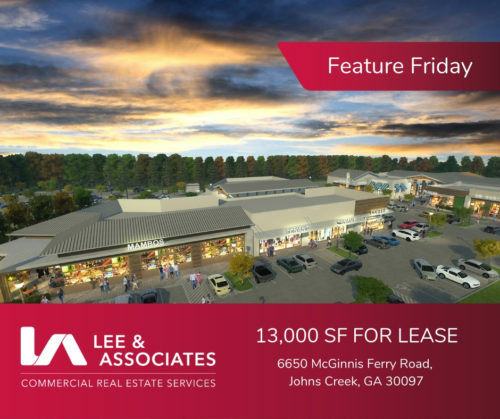 Today’s Feature Friday is a brand new retail and office development at the corner of Medlock Bridge Road and McGinnis Ferry Road. The development is just east of Emory Johns Creek Hospital. Traffic counts are approximately 35,000 VPD. Hurry! There is only 13,000 SF remaining for lease. 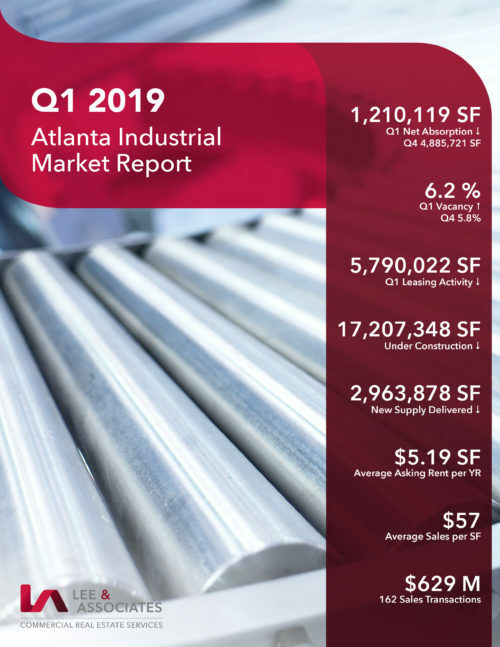 For more information, contact Allen Brown (404) 442-2835 or Edward Hales (404) 442-2837, or click HERE! Lee & Associates Atlanta is a full service commercial real estate firm specializing in tenant and landlord representation, for office, industrial and retail property, land and investment advisory, asset management and project services, valuation and consulting services. Locally, the office was founded in 2005 with 45 market professionals covering Atlanta and Georgia. We are a part of the Lee & Associates organization, which is comprised of 890 commercial real estate specialists serving clients through 56 offices across the United States. We are dedicated to providing outstanding customer service and are committed to achieving our clients’ goals and objectives.